Great news! We are now accepting payments using Klarna’s “shop now, pay later” system. This allows you to enjoy your purchase before having to pay for anything. Founded in 2005 in Stockholm, Klarna is focused on making it easier for people to shop online, which is why we thought it would make the perfect addition to our website. Once you’ve ordered the items you’d like, you’ll receive an email from Klarna with payment instructions. 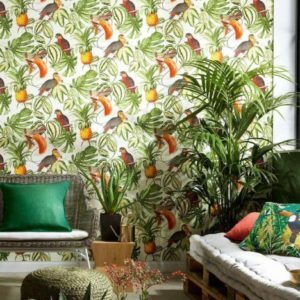 Your wallpaper will be delivered to you and you’ll choose whether you’d like to keep or return them. You have 30 days from when your order was dispatched to pay for your order on Klarna’s website. You can pay via credit or debit card. We’re looking to give our customers the best shopping experience possible and we believe that this is the next step. What are you waiting for? Start shopping here! 2019 - The year to be bold! Guide Me to the Geo!